Monogram | modeltrucks25 | Fotki.com, photo and video sharing made easy. Instructions and a decalscan of the Kenworth W900 Aerodyne snap kit. 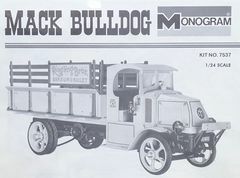 Instructions and a decalscan of the 1926 Mack dumptruck. Instructions and a decalscan of this 1920's Mack. Instructions and a decalscan of this 1926 Mack truck.